As the season opens, I wanted to let everyone know what SPC has available. The 2018 sablefish fishery used up about 50% more bait than usual. We are prepared for that problem this season. All of our herring in inventory was caught in 2019. The Sitka Sound bait quota was not available in 2019 . All 2019 SE bait herring came from the waters around Craig. The Craig herring tends to be smaller than Sitka Sound herring. Our harvest boat did their best to land nice sized herring. Boxes are 35#. We have plenty of small pollack to start off the season. We have an additional 120,000 pounds arriving before the opener. More product is also on order. It has been a challenge to secure small pollack this year. The small pollack is being bought up by other processors and by food markets. We will also have some cheap #2 pollack for pot bait. Ilex squid continues to be expensive. We continue to purchase the highest quality squid, regardless of the price. Our experience with bargain squid has not turned out well. We have some very nice squid in stock now. We have another load arriving from Argentina later this spring that will help us bring the price down some. After talking to some sablefish pot boats in Dutch Harbor, we located their preferred squid for pots. It is excellent pot bait. It is not the same as ilex and might be peculiar for hand bait. 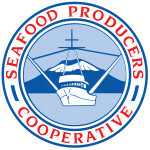 The good news is that it should be available in Sitka for around $1.05/lb. We have 40,000 pounds of this coming in soon. We have plenty of pink salmon available. We also have round chums.